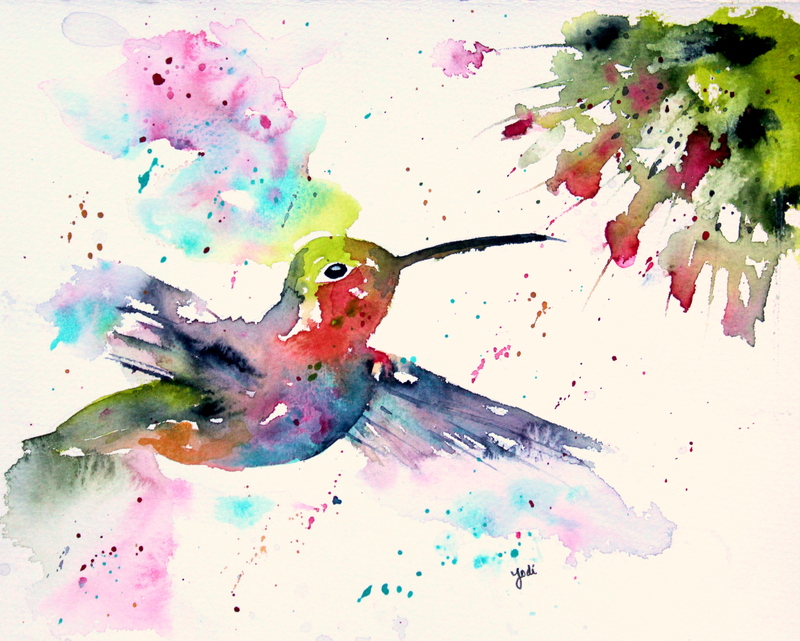 A Pair of Hummingbirds in Watercolor. Among the many birds that visit our backyard are sweet little hummingbirds. I noticed our little hummer friends that arrived in May didn’t seem to be visiting the feeder recently and realized I had not changed the “nectar.” As soon as I filled it with fresh sugary water, they were back in a snap. They are so beautiful. Not nearly as wacky colored as I created here in this pair, but I sure had fun going wild with color creating this beautiful, graceful little creatures. Recalling the one I recently painted for a friend, I had fun creating these ones on a whim and with no agenda or direction in mind. I love this style of painting where you just throw color down and add water and watch it do its magic! Every one is a unique creation. Hope your day is colorful and creative and magical. Thanks Miriam! They are SO fun to paint! They are one of my FAVORITE things to paint! Jodi, they are beautiful, what a great way to paint them. My favorite medium is watercolors. It is much in the style of Dean Crouser who has inspired me (though I don’t want to offend him by comparing mine to his amazing art!) LOL! I wonder if that is the mug you have? Thanks so much Brenda! I sure enjoyed painting them! Thanks so much! So much fun to do! I absolutely love these Jodi! They are both beautiful paintings! I have 4 feeders in my yard and have about 6 hummingbirds hanging around all the time. I’m sure more will come and join this flock. I love hummingbirds! Thanks C! I would love for them to be that comfortable with me! Maybe some day! You are welcome! Yes it took time for my Aunt. She would just stand perfectly still. 🙂 Good luck! 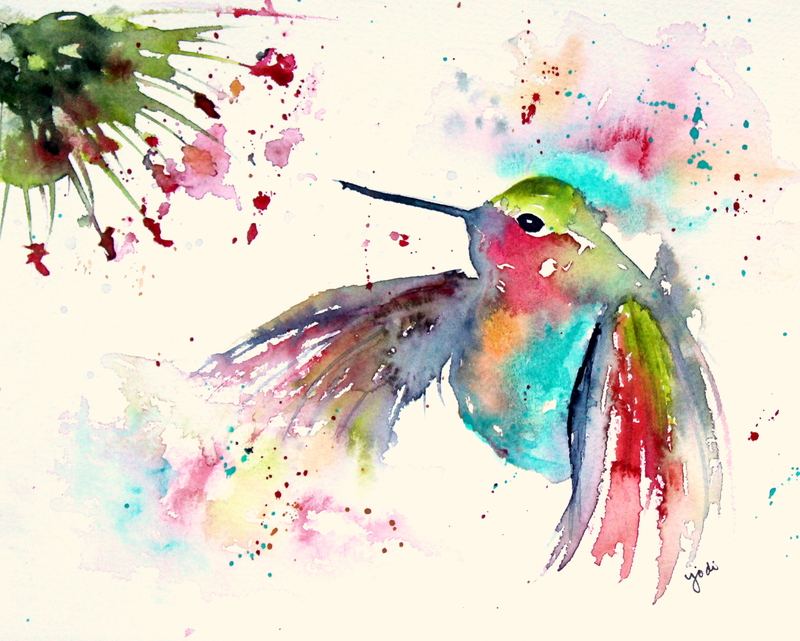 Your watercolor hummingbirds are colorful and creative and magical – just like YOU! Thank-you for sharing these delightful paintings to brighten this Monday morning. Awh! How sweet! I REALLY enjoy painting them and this style! Thanks Jenna!!!! They are so fun to paint – I really could do them forever over and over with different colors! And I usually don’t feel that way, but they are so much fun to paint! Beautiful paintings Jodi. I saw a Humming Bird on my walk yesterday, fleetingly. So fast, such beautiful creatures! Thanks John! Hummingbirds are so inspiring it seems. their mighty might and speed and beauty! I think hummingbirds DO look this colorful when the light hits them just right! I love that first one, especially the splatters. Your splatters are so unique! Awh. Thanks Kathryn. I could paint these again and again! They are so fun! Awh. Thanks jill. I really do feel joy painting these! Thanks so much Amanda! And hey. How about those pens! Two years in a row! Woohoo! Hmm. Not sure. I don’t follow close enough really to know. Lol. Wow! These are fabulous Jodi. Love the style of painting. Wonderful colours. These are great Jodi. I’d love to watch you paint one. I love the colors you gave the hummingbirds! They look so cheerful and bright! We had a few hummingbirds in our yard last year, but I haven’t spotted any yet this year. I’m going to try a feeder outside our dining room window as soon as we get the half-dead flame bush taken out. Hope I get them back! Good luck! They are so beautiful to watch and paint! Love, love, love your colourful hummingbirds. The colours are so cheerful. they are so fascinating to watch! Oh how exciting 2 more hummingbirds, Dean style,,almost missed these thought it was the one for your friend. So great. Never used hot press, in fact no sells atound me any more. I dont know why? Did you use Magicals? Or Brusho? So beautiful. I wonder what Dean uses? You are giving me courage to try this one myself. 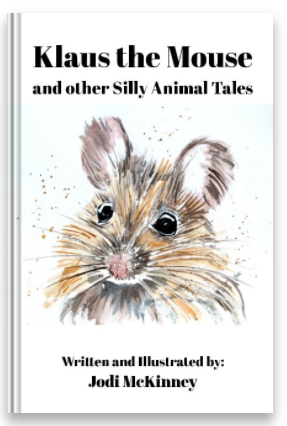 My other favorite artist is Joanne Thomas, i just signed up for one of her on line classes at Art Tutor but maybe August before I have time to start it. 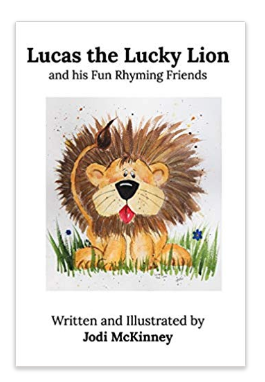 Just love these “little darlings” again you capture the poetry! I mistakenly said hot press. I meant cold. Ugh. Get it mixed up often. Lol. I just used my Daniel smith tubes. No Brusho. Though I like it. 😉. I love Joanne Thomas style tooo!!! Do you share your work?